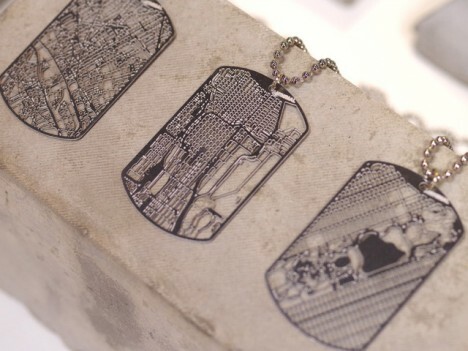 Like giant-sized fingerprints, urban grid patterns are unique to each city – this project turns that individuating property into an wearable asset, allowing you to hang you hometown or favorite metropolis around your neck as a point of pride. 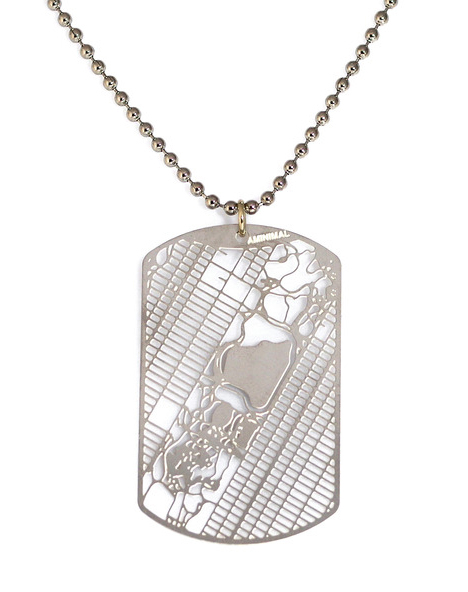 Currently in crowdfunding on Kickstarter, the Urban Gridded Dogtag set is a “collection of unisex accessory so that architects, cartographers, urban planners, urban explorers, nomads, travelers, jet setters” and others can enjoy. 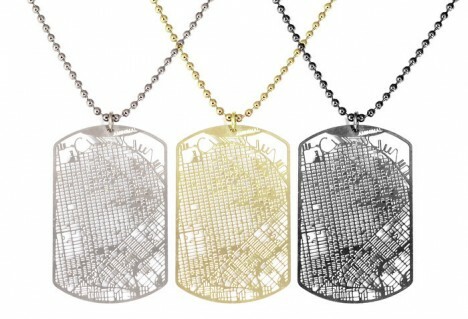 New York City, San Francisco, Paris and Tokyo – can you tell which is where? Many more are also shown below. 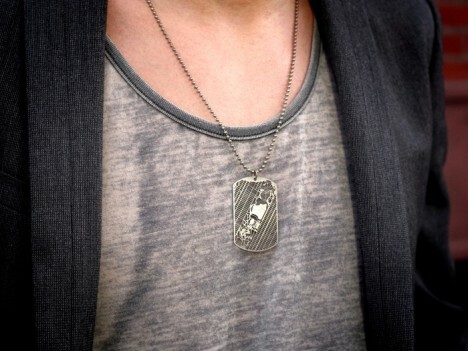 The tags come in laser-cut black, gold-plated or stainless steel, with circular variants also available for those who want something without the implicit military reference. 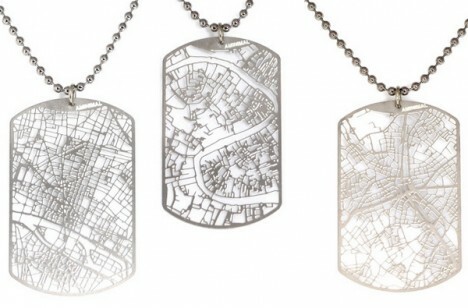 Many major cities have already been ‘unlocked’ and further ones will become available depending on how well-funded the campaign becomes before it closes (just one week left! ).